VANCOUVER – BQE Water, a leader in the management of mine wastewater and metallurgical bleed streams, has entered into a services agreement with a wholly owned subsidiary of a Canadian mining company for the staged implementation of the SART process at an operating gold mine located in Latin America. SART technology at this project has the potential to extend mine life in a cost effective way that simultaneously minimizes the project’s environmental footprint. In the first stage of the project, BQE Water will complete the SART plant engineering design for construction which will enable the client to confirm the construction budget and overall project economics. Subject to the client’s approval in Q2 2019, the project will proceed to implementation. 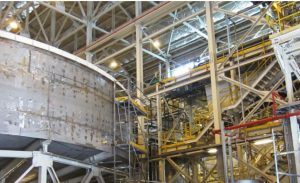 At full capacity, the SART plant is expected to treat up to 600 m3/hr of leach solution, recycle approximately 6,700 tonnes of cyanide and recover approximately 3,400 tonnes of copper per year. “We are excited about this project which in terms of its cyanide recycle and copper recovery capacities may become the largest application of SART in the industry to date,” said David Kratochvil, president and CEO of BQE Water. The SART (sulphidization-acidification-recycling-thickening) process was invented by Dr. Chris Fleming at Lakefield Research. Fewer than ten industrial scale SART plants have been built and operated globally. SART enables ore from deposits with cyanide soluble copper to be processed cost effectively while reducing the environmental footprint which represents a game changer for the industry. This is highly significant for the industry that is adopting higher standards of environmental and social responsibility and is faced with the absence of discoveries of major new “clean” gold deposits. Contact BQE Water at www.BQEwater.com to learn more about SART.